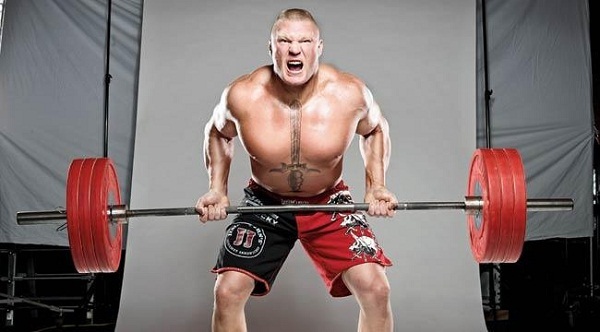 Having been raised in a rural area in South Dakota, Lesnar has learned the meaning of hard work, mental endurance, and power at an early age. As a young man, he devised an unconventional training program to develop agility and strength. 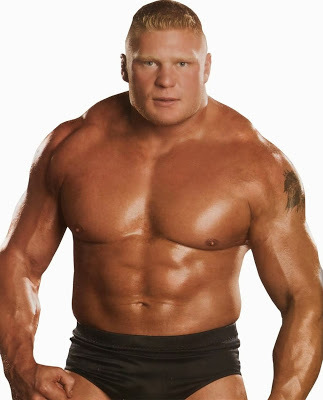 With no workout facilities in his native land, Lesnar used equipment from their dairy farm in Webster to shape his physique. 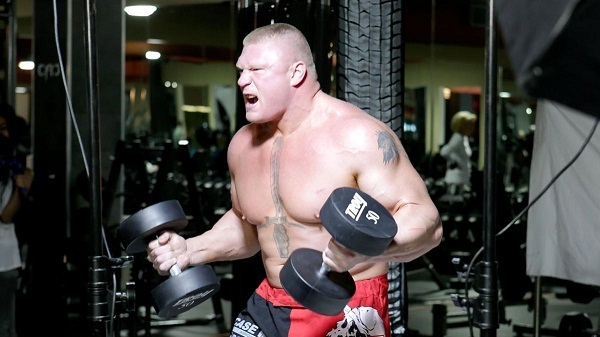 Once Lesnar started his careers in wrestling and MMA, he realized the importance of improving cardiovascular fitness, as well as strength and stamina. His weekly training regimen now includes 4 days of workout with 2 training sessions each day. The morning sessions are used for honing his wrestling/fighting skills while the evening sessions are reserved for lifting weights and sports-specific conditioning. Lesnar started sticking to a healthy and balanced diet after being diagnosed with diverticulitis, a condition caused by inadequate consumption of fiber. To build muscle and strength, he takes supplements containing whey protein, creatine, and multi-vitamins. After a rigorous training session, the WWE superstar usually has 30g of quality protein and some healthy sources of carbs. This helps in refilling the depleted levels of glycogen. He also drinks at least a gallon of water throughout the day but avoids having sugar, salt, and refined foods. No wonder, Lesnar has had an illustrious career in pro wrestling, UFC, and MMA. 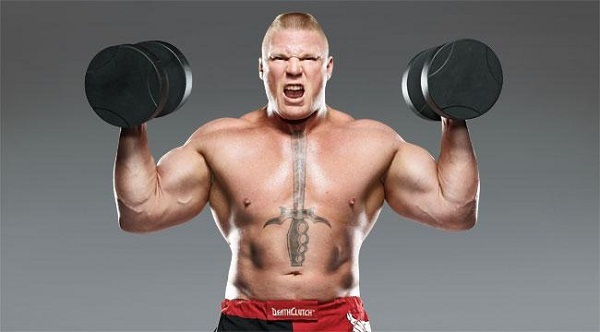 If you wish to develop your strength and endurance like Brock, then follow his training program and meal plan closely.